Our team is fairly new, but we have been griefing and playing minecraft for a while. We have just recently started a team, we are looking for good and experienced coders, we currently are using Nodus and are waiting for 1.3 to be released before we work on our private client. Team Division has an official YouTube channel! There we upload client updates, tutorials, and mostly griefing videos! You can check on the Forums to see if we're doing a community grief video in which you can join! Click to see the channel! 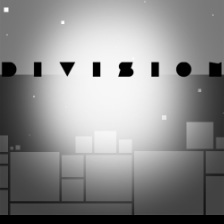 The Team Division client is currently being worked on. We have called the client Multiply. It will have a wide range of hacks that we will explain and shown off in our videos. You can also donate $50 to get the client and have full access to each update. If you are in the team the client is free! Check the Forums page to see our progress on the client so far.